The day marks nine years since the Maximum City witnessed the deadly 26/11 attack, which claimed the lives of more than 166 people. 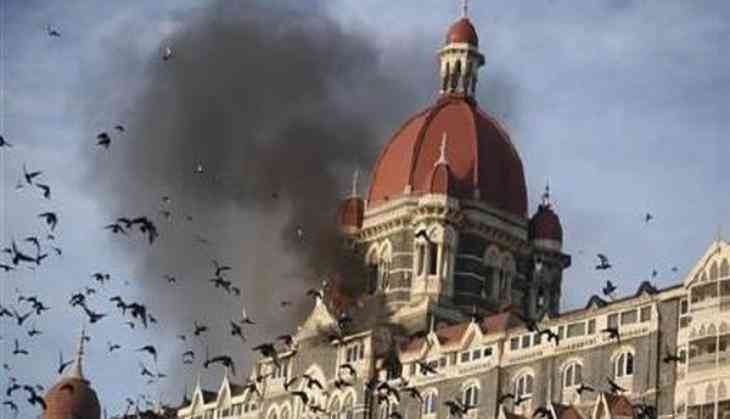 As many as 10 Pakistani terrorists, belonging to the Lashkar-e-Taiba (LeT) group, had unleashed carnage across Mumbai, on November 26, 2008. Recalling the unfortunate day, Devika, a survivour and an eye-witness, termed the incident as traumatising and said she has still not got over it. "The entire incident still plays in front of my eyes; it was terrifying. I can recall each and every moment," Devika told ANI. Devika survived a bullet injury on her leg and was one of the eye-witnesses to identify the lone-captured terrorist of the attacks - Ajmal Kasab. Having battled for almost two months for her life and praised for her bravery to speak against Kasab, Devika felt that justice has still not been served to people who lost their lives as mastermind Hafiz Saeed still roams scot-free in Pakistan. "When I saw Kasab in the courtroom I was livid. I wished I had a gun in my hand; I would have shot him there. Anyway, Kasab was a mosquito. Hope someday the big terrorists and the mastermind are brought to book," she said. Her journey since 2008 has not been easy, she said, adding she faced isolation from people for speaking against Kasab, as they feared the terrorist would come after her and they would also face the consequences. Devika's father, who was also one of the deponents in the case, echoed a similar sentiment and made a heartfelt appeal to the government to bring justice to people killed in the attack by curbing terrorism harboured in the neighbouring country. "My daughter was just nine years old when she got shot. It was traumatic. Yes, we are happy that Kasab was hanged, but we will not be satisfied till the real mastermind sitting in Pakistan is punished," he said. Another eye-witness, Mohd Taufeeq, who sells tea at the Chhatrapati Shivaji Terminus, said the day has left a lasting effect on him. "I still get disturbed whenever I think of that moment. I rescued many injured people. The situation was devastating. It has been nine years, but I am just waiting for the day the real mastermind sitting in Pakistan is caught," he told ANI. Another survivour, Rahim Ansari, lost six of his relatives in the barbaric attack and went into depression after the incident. "My relatives had no chance to escape. I am happy that the perpetrators were either killed or punished. But the mastermind Hafiz Saeed is in Pakistan; it would be ideal if Indian Government gets him here and punishes him," Ansari said. Meanwhile, in view of this, security has been strengthened across Mumbai. Various events will be held in the city to mark the anniversary of the terrorist attack. Also, Maharashtra Chief Minister Devendra Fadnavis and Governor C. Vidyasagar Rao paid tribute to the victims at a memorial on early Sunday morning.